We are a company that is continually investing in our infrastructure to better serve you as a customer. We have recently moved into a purpose built call centre to house our dedicated sales and support team. This is further enhanced by our professionally qualified group of drivers and warehouse staff allowing us to provide a level of customer service that is second to none. 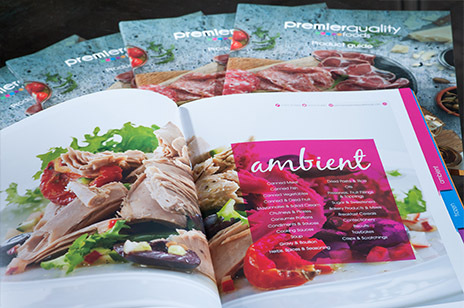 We offer our customers an extensive range of frozen, chilled and ambient foods together with beverages, packaging, disposables and many more items required by the catering industry. We are always happy to listen to our customers’ requests for additions to our range. We have earned a reputation withing the industry for delivering quality, competitively priced products combined with an unrivalled commitment to customer satisfaction. For a food service partner that can identify and meet your specific requirements please please contact us and one of sales team will be in touch. We always have a number of products on promotion. Please check the promotions page to see our latest special offers. Want more information about what we can offer? You can download our brochure or view it online here. Alternatively if you would prefer a hard copy please contact us here. Covering Yorkshire, Nottinghamshire, Lincolnshire, Derbyshire and more recently Greater Manchester our delivery network is expanding to meet the needs of our ever-growing customer base. Driven by our team of professional drivers, our fleet of Mercedes vehicles are designed to handle multi-temperature goods. This ensures that whatever product you order it arrives at your premises in perfect condition.